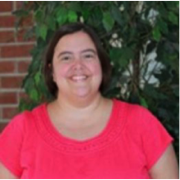 Kristy Courville is an Instructor in the Health Information Management Department at the University of Louisiana at Lafayette located in Lafayette, Louisiana. She has a bachelor’s degree in Health Information Management and a master’s degree in Health Services Administration. She teaches several courses including management, concepts of healthcare, and computers in healthcare organizations. Prior to teaching, she held a director of Health Information Management position within a system of healthcare facilities. Mrs. Courville has been an active member of the American Health Information Management Association for eighteen years. Additionally, she has been involved with committees and projects for the Louisiana Health Information Management Association and of the South District of the Louisiana Health Information Management Association and is current LHIMA President. 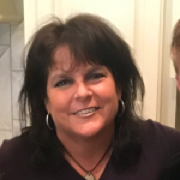 Lisa Delhomme is a Senior Instructor in the Health Information Management Department at the University of Louisiana at Lafayette located in Lafayette, Louisiana. She has a bachelor’s degree in Health Information Management and a master’s degree in Health Services Administration. She teaches several courses including CPT coding, legal aspects for healthcare, data and project management systems in healthcare, and healthcare information systems. Prior to teaching, she held a management position at a physician practice and ambulatory surgery center. Mrs. Delhomme has been an active member of the American Health Information Management Association for fourteen years. Additionally, she has been involved with committees and projects, and served on the board of the Louisiana Health Information Management Association (LHIMA) and the South District of the Louisiana Health Information Management Association. She currently serves on the LHIMA board as e-HIM Roundtable Project Manager. 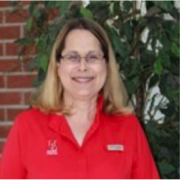 Anita C. Hazelwood, MLS, RHIA, FAHIMA, is a Professor in the Health Information Management program at the University of Louisiana at Lafayette and has been a credentialed Registered Health Information Administrator (RHIA) for over 38 years. Anita has actively consulted in hospitals, nursing homes, physician’s offices, clinics, facilities for the mentally retarded and in other educational institutions. She has conducted numerous ICD-9-CM, ICD-10-CM and CPT coding workshop throughout the state for hospitals and physicians’ offices and has written numerous articles and co-authored chapters in several HIM textbooks. Anita has co-authored several coding books including “ICD-10-CM Preview” for which she won AHIMA’s Legacy Award in 2003. On a professional level, Anita has been a member of the American Health Information Management Association (AHIMA) for 37 years and has served on various committees and boards. Anita is a member of the Louisiana Health Information Management Association (LHIMA) and was selected as its 1997 Distinguished Member and Outstanding Volunteer in 2018. She has served throughout the years as President, President-elect, Treasurer, Strategy manager and Board Member and has directed numerous committees and projects. 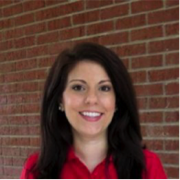 Marissa Lajaunie, MBA, RHIA obtained a Bachelor of Science degree in Health Information Management from the University of Louisiana at Lafayette in 2009 and a Master of Business Administration from the University of Louisiana at Lafayette in 2011. She has also been a Registered Health Information Administrator since 2009. Prior to returning to UL Lafayette as an Instructor in January of 2015, Mrs. Lajaunie was employed as the Assistant Administrator of an inpatient psychiatric facility and two outpatient mental health clinics where she responsible for the overall leadership and operation of the facility’s services, departments, and functions. She served as the Performance Improvement/Quality Assurance Coordinator, Infection Control Coordinator, Privacy & Compliance Officer, Utilization Review Coordinator, Credentialing Coordinator, Governing Board & Medical Staff Committee Organizer, Leadership Committee Chairman, and Employee Education/In-service Coordinator. Mrs. Lajaunie teaches several courses including HIM 361 (Medical Terminology), HIM 422 (Healthcare Statistics), HIM 482 (Management Internship), HIM 431(Quality Improvement/ Risk & Utilization Management), HIM 401 (Concepts in Healthcare Delivery), and HAS 406 (Social Problems and Issues in Mental Health). She also serves as the Faculty Advisor for the Health Information Management Society for students (HIMS). 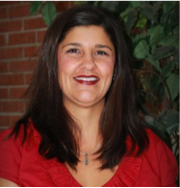 Mrs. Lajaunie has been an active member of the American Health Information Management Association for eight years. Additionally, she has been involved with committees and projects for the Louisiana Health Information Management Association and of the Southwest District of the Louisiana Health Information Management Association. She currently serves as the 2018 LHIMA Board Communication Director. Current Assistant Professor of Health Informatics and Information Management at Louisiana Tech University; 20+ years in healthcare operations of single and multi-hospital systems at the Director and Senior Leadership levels; diversified background covering all healthcare service delivery systems with a special emphasis in organizational restructuring and revenue cycle management enhancement. LaTanya Brittentine has been in the Health Information Management profession since 1991. With over twenty-seven (27) years of experience in HIM, most of her experience has been coding, long-term, and academia. While working in long-term and acute care, she served as HIM Manager, Coder, Auditor, and Analyst. In addition, she also worked in various acute care hospitals and rehabilitation facilities. 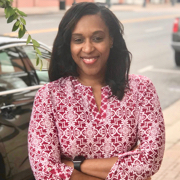 Over the past sixteen (16) years, LaTanya has worked as an educator in the HIT/HIM programs for the Southern University System – thirteen (13) years at SUSLA and three (3) years at Southern University at New Orleans. LaTanya is currently serving as the LHIMA Scholarship/Support of Schools Coordinator and has served in many past positions on the LHIMA Board.